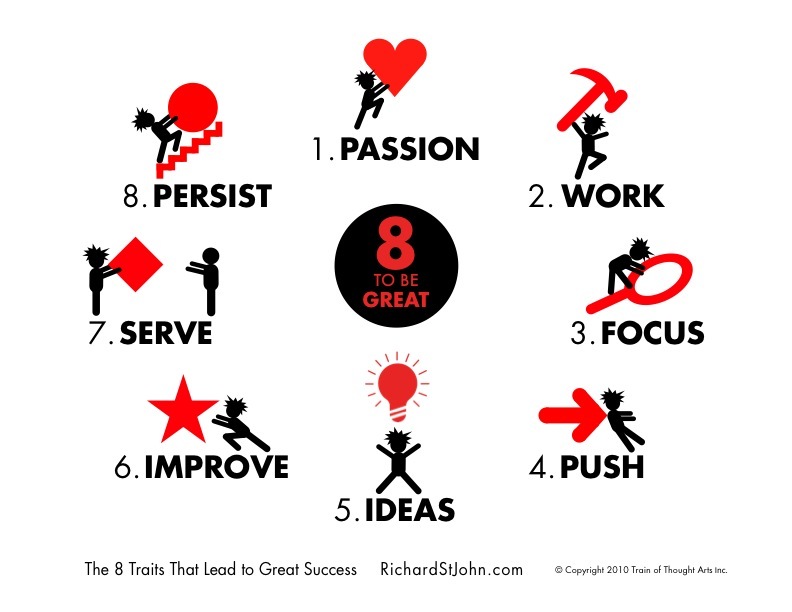 In an excellent TED talk Richard St John outline what he believes are the right secrets to success. In all likelihood there is nothing that will be a complete surprise. However, there are really good reminders. It’s also a pretty interesting lesson in short presentations, even if his language might not make a Sunday sermon! There are all kinds of helpful resources over at his website, including a great self-evaluation form.